Dutchak Recycle offers a Pop Can Recycling Program, working with many schools, churches, and charitable organizations in the community. Our Pop Can Recycling Program generates funds used for a multitude of purposes. We supply the bins, which are placed at any location requested. We make pick ups regularly and are responsible for maintaining the bins. The pop cans are brought to our facility, where they are debagged, weighed and baled. We keep a record of pop cans picked up, and make payments by weight, according to fair market pricing. All you have to do is call, and we do the rest! You can help save the environment, while raising funds at the same time! If you would like further information, please give us a call at 807-346-4785 or email us at dutchakscrap@tbaytel.net. Dutchak Recycle recycles over 100,000 pounds of pop cans a year! It takes 28 pop cans to make one pound, so that means we recycled 2,800,000 pop cans in one year. 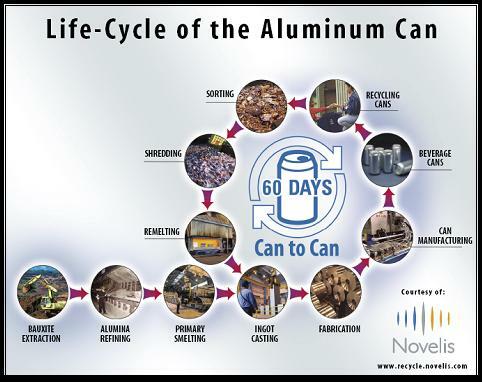 Recycling one aluminum pop can saves enough energy to watch 3 hours of television, so in one year we saved enough energy to watch 8,400,000 hours of television. Thanks to all the participants for making our Pop Can Recycling Program a success, raising funds while recycling and helping the environment.